The second green box of 2018 is out! This week we are featuring Mikimoto, the legendary brand of pearl and inventor of the pearl culturing process. Dedicated to protecting and propagating stocks of native Akoya oysters depleted by over-harvesting of natural pearls, Kokichi Mikimoto became fascinated with the possibility of producing cultured pearls and in the late 1800’s, Mr. Mikimoto figured it all out and the rest is history. The piece of the week that the box finder will receive is a 7.5mm x 7mm A Quality pearl bracelet with 18k yellow gold clasp retailing for $1840. Also the box will only be hidden in the CSRA. 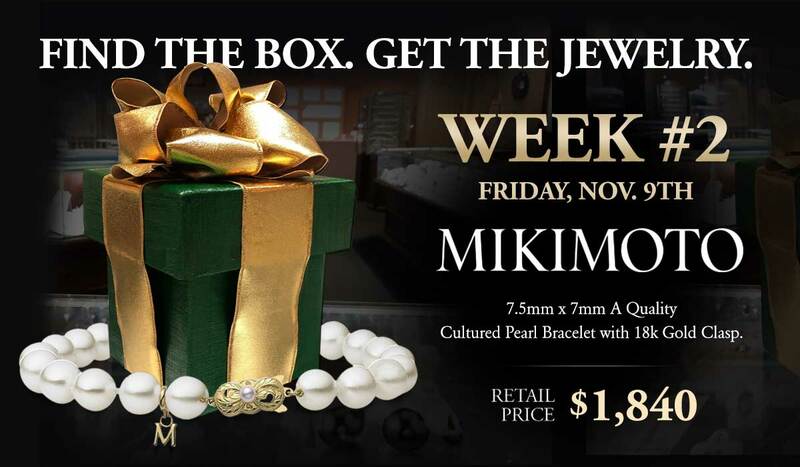 If you come into Windsor and try on a piece of Mikimoto and you’ll get to see a clue a day in advance. #1 Clue, Friday Nov. 9th :: The symbol of a wavelength. On the waterfall at the Rae’s Creek Aqueduct, there is a symbol carved into the stone. It’s the λ symbol, which also of symbol of a wavelength, the lowercase letter of the greek letter “lambda” or to those video game folks, the Half-Life logo. #2 Clue Saturday Nov. 10th :: Staring straight at the five. #3 Clue Sunday Nov. 11th :: I’ve seen brothers against brothers. The Aqueducts were built out of stone (replacing a wooden structure) 1850 which was prior to the American Civil War. #4 Clue Monday Nov. 12th :: A man notable in golf, yet with no history of it. John Rae, the has one of the most notable bodies water in the game of golf named after him. Rae’s Creek, our box was near the Rae’s Creek Aqueduct. #5 Clue Tuesday Nov. 13th (advance clue) :: Leave it to the Italians, it’s a job for them. 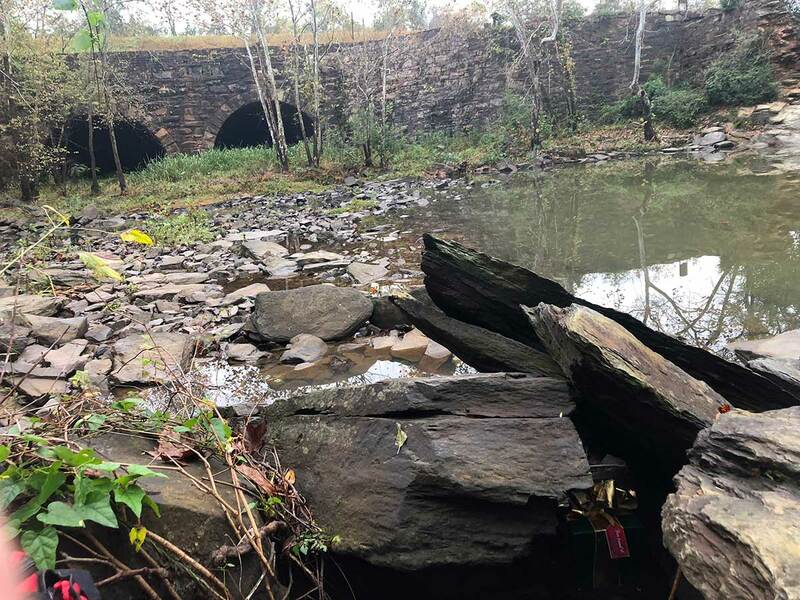 The Italian stone masons were hired to build the enormous and beautiful stone aqueducts that now serve as one of Augusta’s most beautiful historic structures. The granite was brought in from Stone Mountain, Georgia.